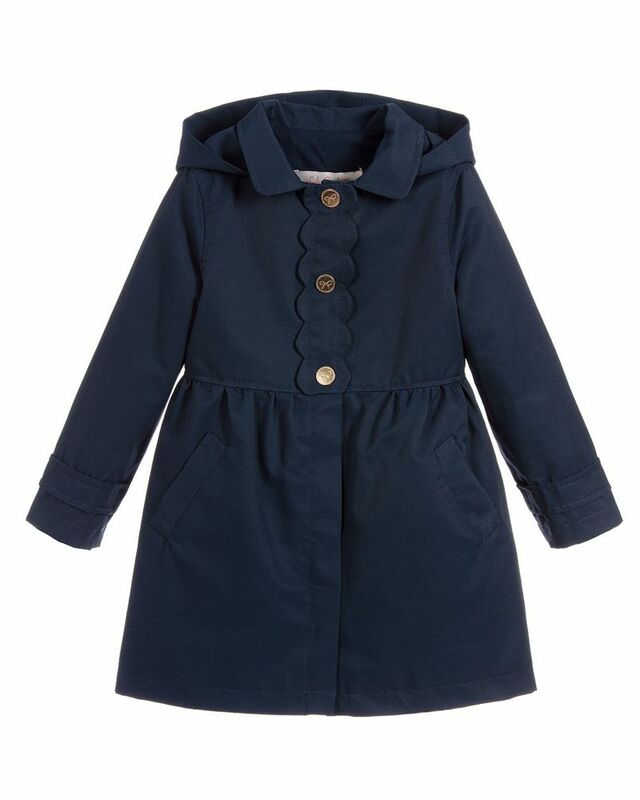 Lili Gaufrette navy raincoat with hood and gold button detailing. 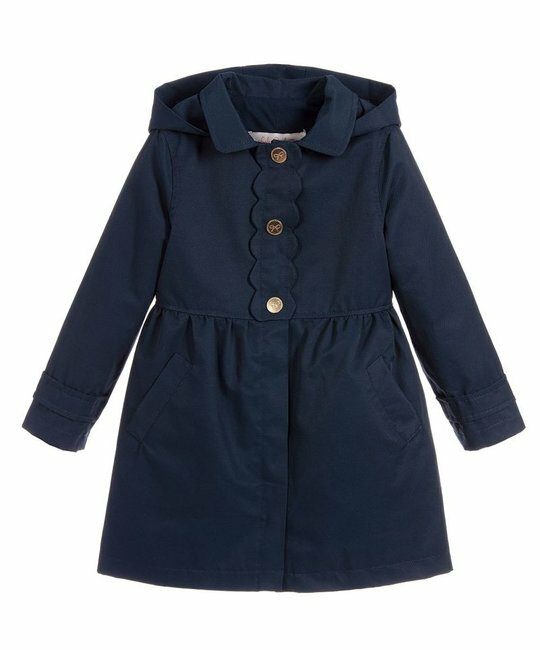 62% Cotton, 38% Polyamide. Imported.